New Fannie and Freddie rules and bipartisan bills aim to speed the short sale process, preventing more home owners from slipping into foreclosure and keeping the economy on its feet. 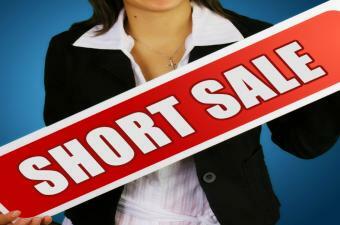 Why do short sales take so long to get approved? Short sales languish on the market or fall through altogether even when a REALTOR® has a seller and a buyer lined up, because it can take months for short sales to work through a bank’s complicated bureaucracy. Short sales can also be held up by second mortgage lenders or mortgage-backed securities investors that refuse to accept the deal even though the bank that has the first mortgage wants to do the deal. “The current short sale process can be time-consuming and inefficient, and many would-be buyers end up walking away from a sale that could have saved a home owner from foreclosure,” said Moe Veissi, president of the NATIONAL ASSOCIATION OF REALTORS®. Not only does a short sale help the home owner get out of an unworkable situation, it helps the neighborhood: A short sale typically forces down surrounding home values less than a foreclosure does. And lenders benefit, too. Foreclosures cost lenders more than short sales — they have to maintain those properties. That’s why banks are willing to do short sales at all. Seeing Republicans and Democrats come together to offer solutions to speed up the housing recovery should give home owners hope. Although most of Washington remains paralyzed to act on most issues and both these bills are stalled, the housing economy should be one issue that Democrats and Republicans can agree on. Congress must realize that housing isn’t a Democratic or a Republican issue — it’s a national issue. Email: Regina@ReginaWallace.com for questions regarding a short sale purchase or sale.